Logs or the Support bundles are the very useful information which provides the detailed information about the problems so it is helpful at the time of troubleshooting. Logs or Support bundles contains the diagnostic information which contains the product logs, configuration files and the details about the situation. Logs or the Support bundles contains the sensitive information about the product. When we face any issues with ESXi we log a call with VMware Support and they first always ask to upload the Logs so they can do the analysis based on the diagnostic data and provide the appropriate solution based on the problem occurred. As an VMware Admin we already knows how to export the logs of ESXi host but i thought to make a post in which you can find multiple ways to export the logs or support bundle from ESXi host. In this post we will see 3 different ways in which you can export the ESXi logs or the support bundles. 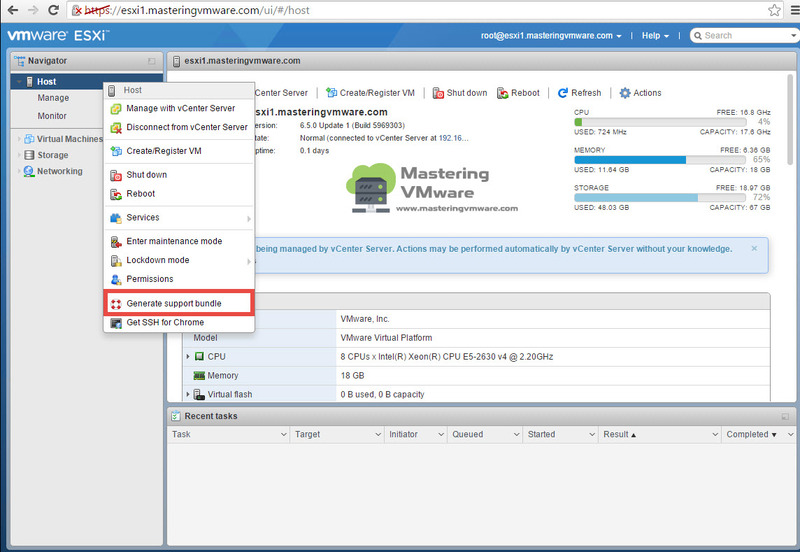 You can generate and export the ESXi hosts log bundle using the vSphere Web client. 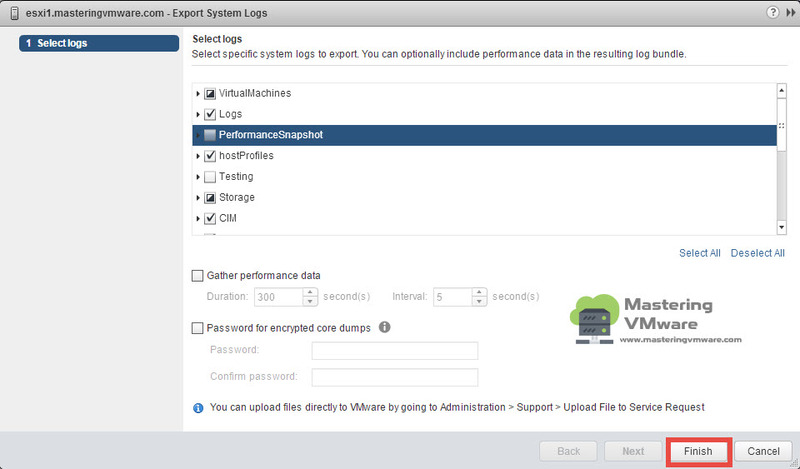 Choose the ESXi host for which you want to Generate Support bundle or Export logs. Right Click on Host and choose Export System Logs. Select the information which you want to export with the logs. Now you can browse to path and save the Export Logs file. You can Export the ESXi logs by logging in to ESXi web client. Login to ESXi web client by providing ESXi IP or Hostname. Right click on Host and click Generate support bundle. It will take few minutes to generate support bundle. Once generated you can view the download wizard. Click on Download button to download the support bundle. 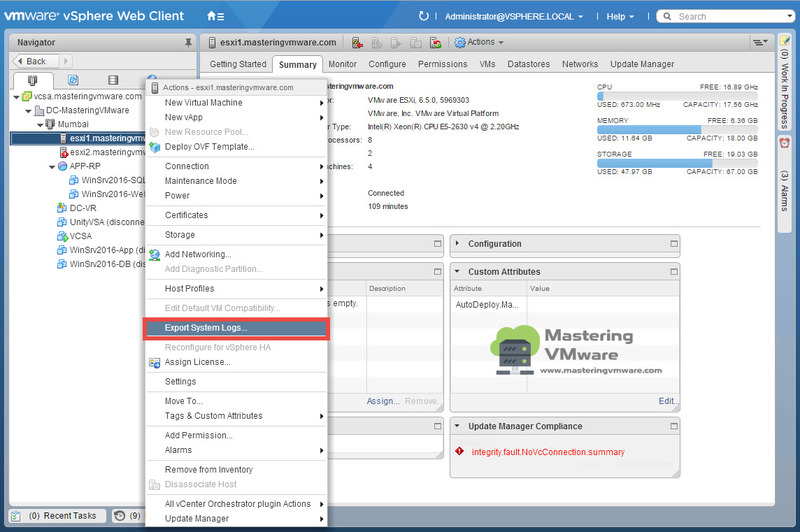 Now you can view and upload the ESXi system logs. 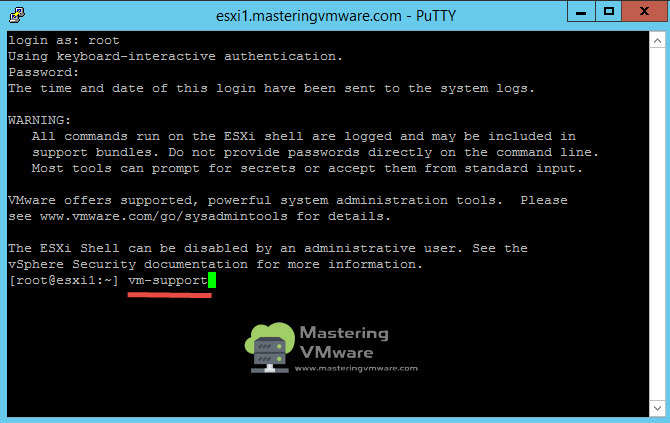 You can also generate the support bundle using command line method by logging into ESXi. Login using the root credentials. Type below command to generate the support bundle. 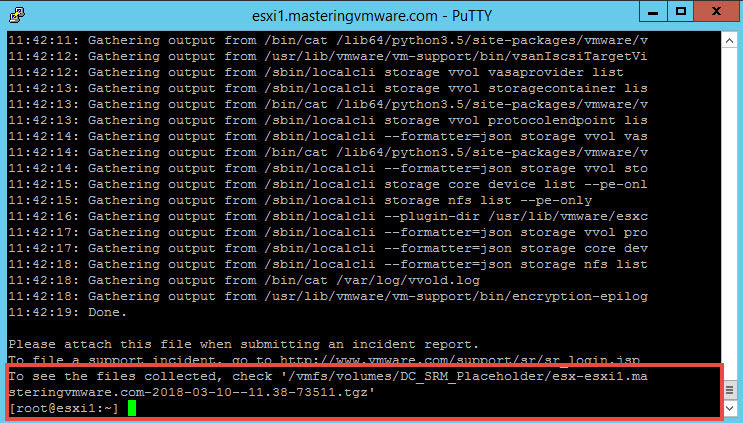 It will take few minutes to generate the ESXi logs. Once completed you can see the file location where it is saved. You can use WinSCP to access the VCSA then go the location and download the Support Bundle. This are the most used ways for Generating the Support bundles for ESXi Host. 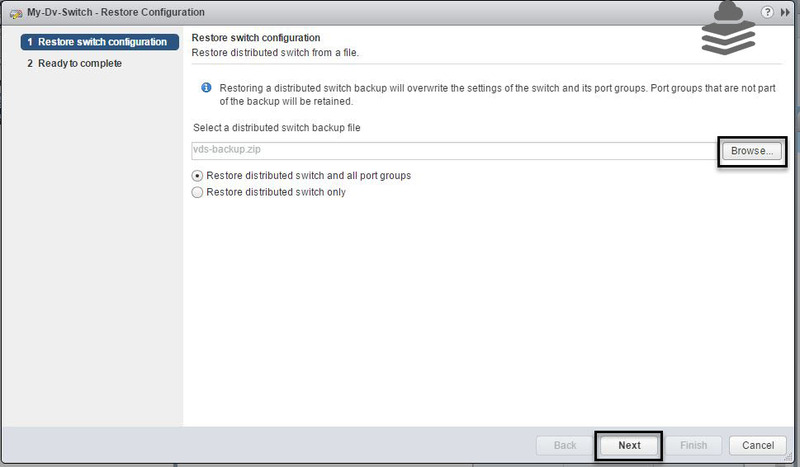 Using this ways you can generate the logs or the Support bundles of ESXi Host easily. 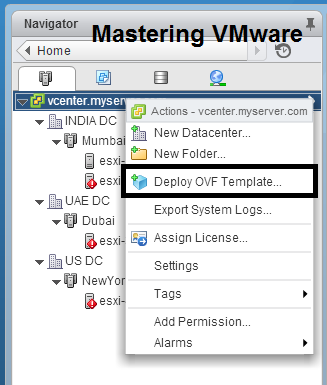 In the Next post we will see on How to Generate VCSA Support Bundle. 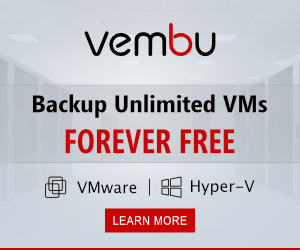 Note: In this post we have used the ESXi 6.5. 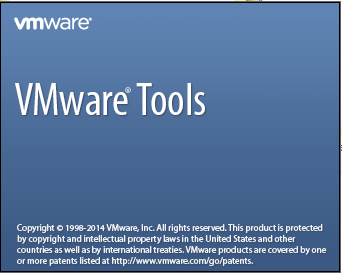 How to install VMware Tools in Windows VM ? How to install VMware Tools in Linux VM ?